Mabelle Benson Medowski died peacefully in her Lambert’s Cove ancestral home on November 12, 2013 attended by family and friends. She was 93. Mabelle was born in the same home to Norman Benson and Sarah Luce Benson on February 10, 1920. She grew up in West Tisbury and her first schooling was at a two-room school house in Lambert’s Cove. She graduated from the Tisbury High School. Following graduation she drove a milk route for farmer Robert Norton delivering milk in the area. Later on she worked in Dr. Mayhew’s practice. During World War II Mabelle met Tadeus Medowski, a naval officer stationed at what is now the Martha’s Vineyard Airport. They were married in the Lambert’s Cove church of which she was a member. After the war they made their home in Sudbury, where they raised their four children. After her husband’s death in 1982, Mabelle returned to the Island home she loved. For a number of years she worked at Sandy’s antique shop and at the Martha’s Vineyard Museum although she didn’t consider this work as she loved antiques and Martha’s Vineyard history. Mabelle also participated in the Flea Market at the Chilmark Church, buying and selling old jewelry and other items. She had a great memory and loved to recall the days of her youth and stories of her ancestors. Mabelle delighted in nature and the simple pleasures of life. She loved to walk Lambert’s Cove beach picking up seaglass and other treasures along the way. She loved animals wild and domesticated and enjoyed watching and listening to the birds at her feeder. Many Saturday mornings she would frequent yard sales or visit the West Tisbury Dumptique. Mabelle was a friendly, warm being who liked everyone she met and would help her friends and family in any way she could. 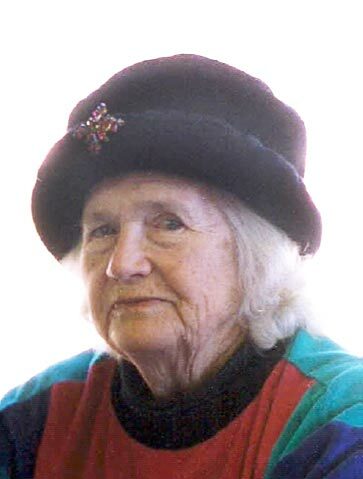 She was truly a Vineyarder in every sense of the word, and she was one of the last of her generation that witnessed the Vineyard transformed from a simple farming and fishing community to a tourist-based community. During her later years, Mabelle fought depression and felt thankful for so many faithful friends, wonderful health care workers and daily calls from the people at the Howes House. Mabelle is survived by children, grandchildren and one great grandson. She loved all and in turn was loved by many. She will be greatly missed. She will rest in the cemetery in Lambert’s Cove with her ancestors and past friends. In lieu of flowers please donate to a Vineyard charity of your choice.